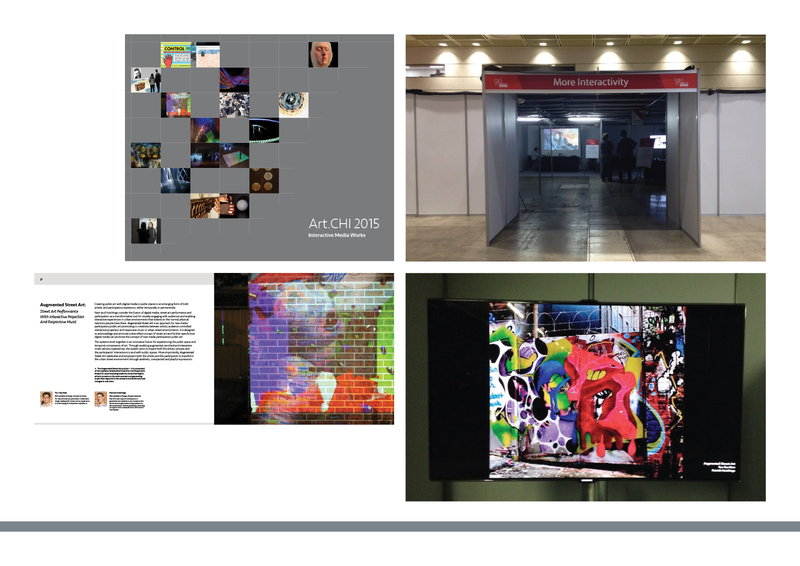 Creating public art with digital media in public places is an emerging form of both artistic and participatory expression, either temporally or permanently. 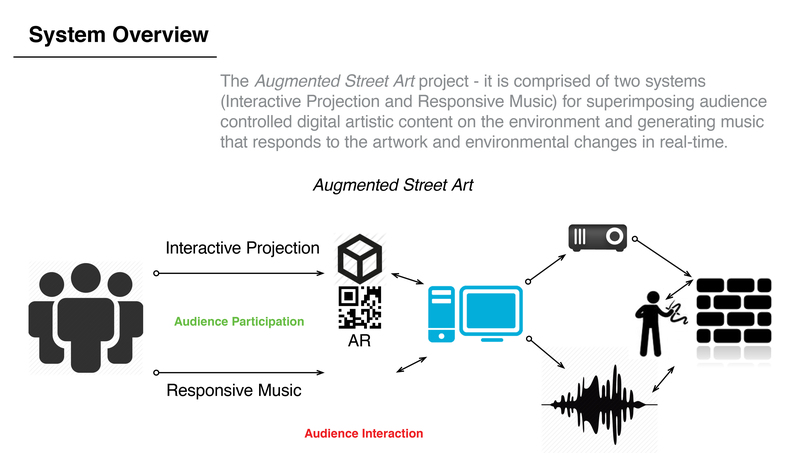 We consider the fusion of digital media, street art performance and participation as a transformative tool for socially engaging with audiences and enabling interactive experiences in urban environments that extend on the normal physical reactions people have there. 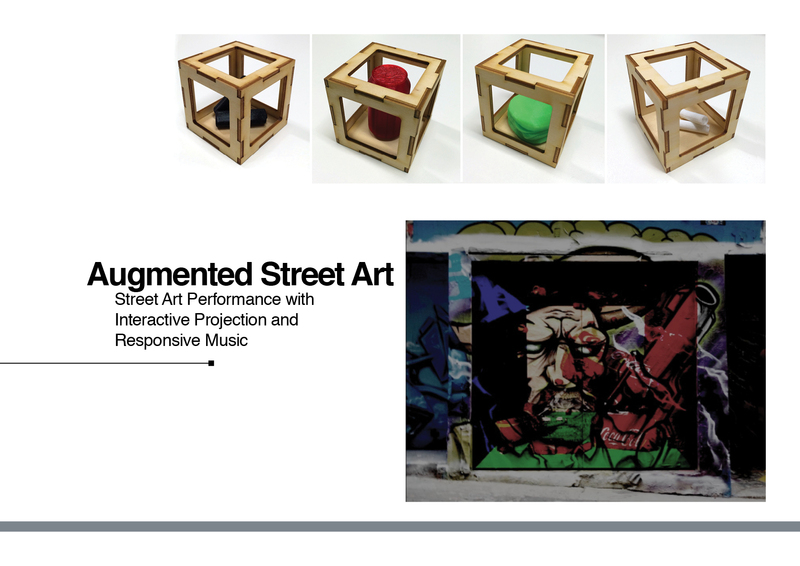 Augmented Street Art is an approach for new media participatory public art promoting co-creativity between artists, audience controlled interactive projection and responsive music in urban street environments. It is designed to acknowledge and promote a diversified concept of street art and further specify how digital media can promote the concept of new media participatory public art. 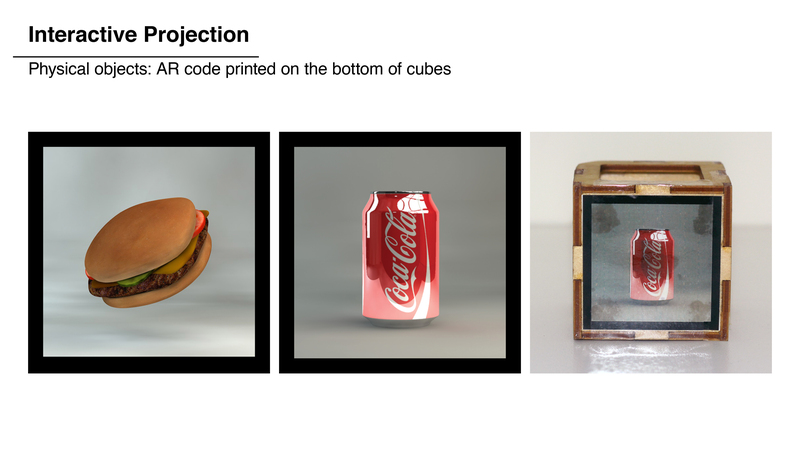 The systems work together in an innovative fusion for experiencing the public space and temporal components of art. Through enabling augmented, enriched and interactive multi-sensory experiences, the system aims to inspire both the artistic process and the participants’ interactions in and with public spaces. More importantly, Augmented Street Art celebrates and empowers both the artists and the participants to transform the urban street environment through aesthetic, unexpected and playful expressions. 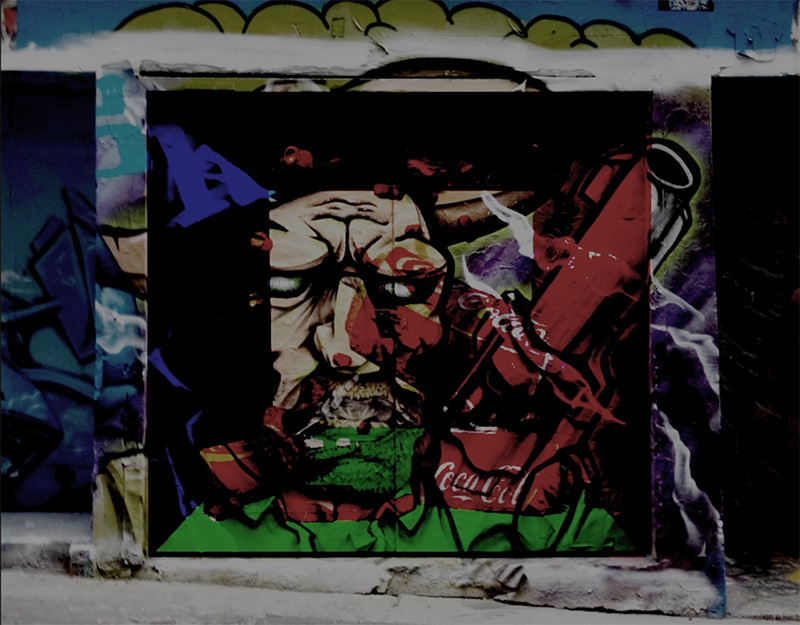 Augmented Street Art from newnyt on Vimeo. If you want to read more information about this project then please download the paper. 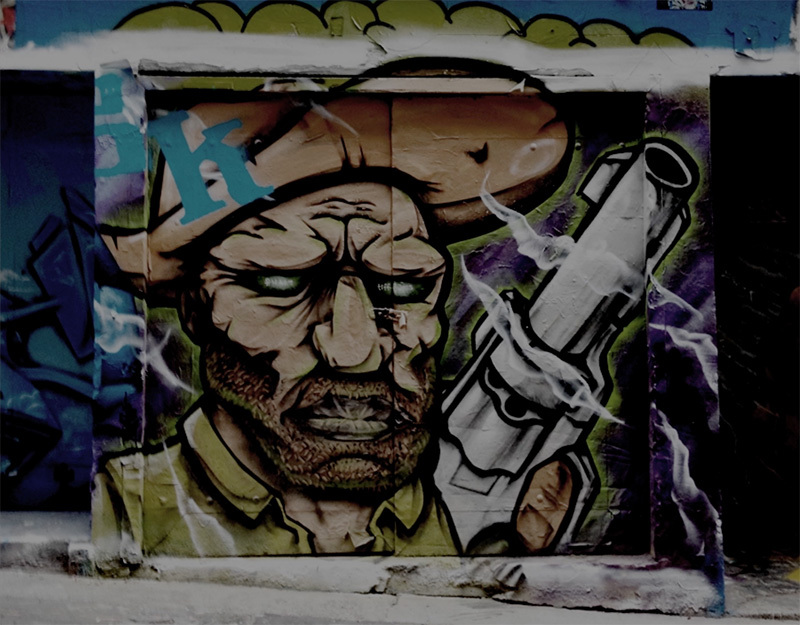 Augmented Street Art – AR test in Unity3D from newnyt on Vimeo.